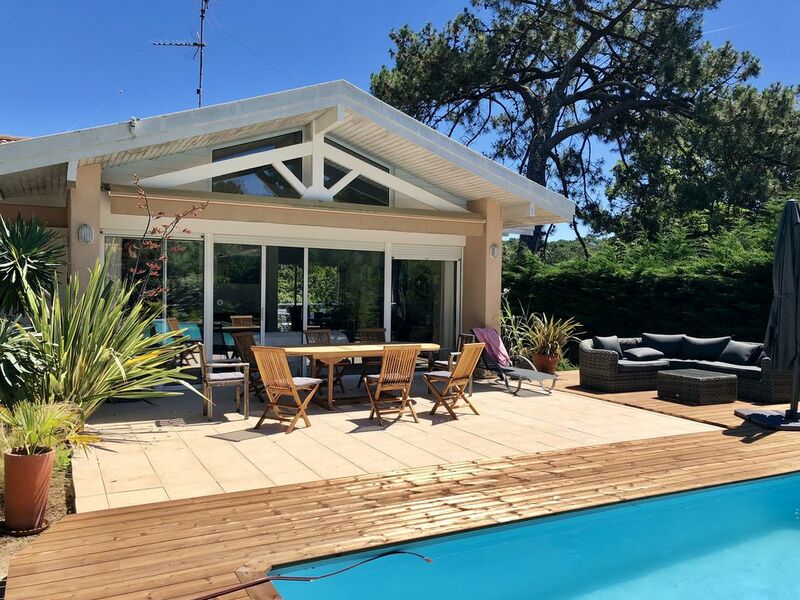 Very sunny contemporary villa located on the heights of Moulleau with east exposure (180º terrace overlooking the pine forest) - West (terrace with pool view). Landscaped garden, intimist and closed (living room of garden, solar shower, barbecue Weber, bicycles at disposal). The house has 5 bedrooms, one with en-suite bathroom and 3 bathrooms that can accommodate up to 10 people. Private parking for two cars and possibility to park two additional cars in the driveway. Les frais de ménage sont facturés uniquement lors du ménage de sortie. 4 vélos de ville mis à disposition.